Gov. 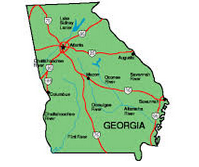 Nathan Deal announced that Georgia has been named the No. 1 state for business for the fifth year in a row by Area Development, a leading corporate site selection and facility planning publication. Deal was joined by Area Development publisher and president Dennis J. Shea to make the announcement at the 2018 State of the Ports Address in Savannah. “I am proud that Georgia has once again been named the top state for business by Area Development, as this coveted distinction reflects the resilience and strength of our pro-business environment,” said Deal. “We are committed to investing in our workforce and transportation infrastructure so that companies looking to relocate or expand will have Georgia on their mind today and in the future. Thanks to our low-tax structure, technology infrastructure and gateways to global commerce, including our expansive ports system, Georgia is the home of leading manufacturers, innovative technology companies, film companies, growing small businesses, international firms and industries of all kinds. In addition to being named the top state for business, Georgia ranked first among the states for workforce development programs and cooperative and responsive state government. Among the other nine categories examined in the survey, Georgia ranked in the top five spots in each category. During FY 18, GDEcD’s Global Commerce Division helped to create more than 27,000 new jobs through a record-breaking 419 expansion or relocation projects. These projects amounted to $5.56 billion of investments in Georgia communities. FY 2018 was a record year for the Georgia Ports Authority, which handled 4.2 million 20-foot equivalent container units for an a year-over-year increase of 8.4 percent. In the last seven and a half years, Georgia’s exports have grown by 28.8 percent.